It's been a slow month but I finally got a few figures completed. 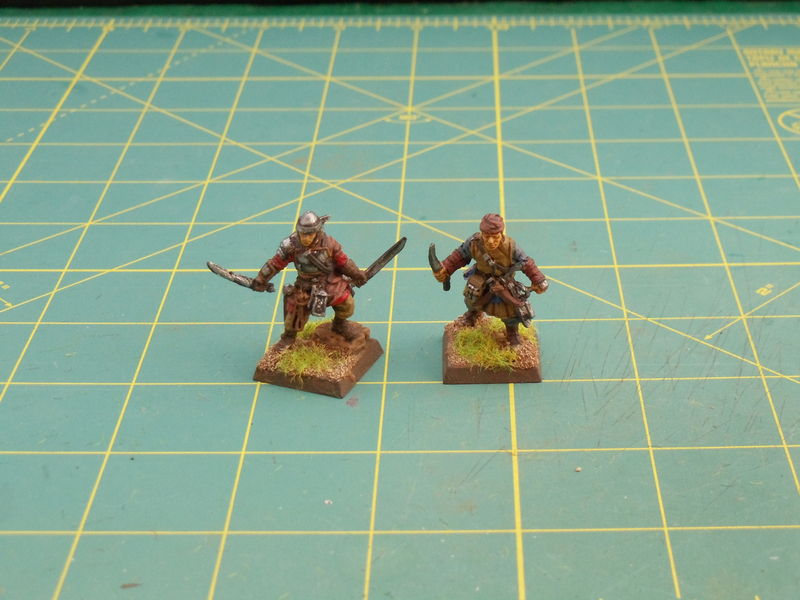 First up is a couple bases for my ongoing lifetime samurai project. 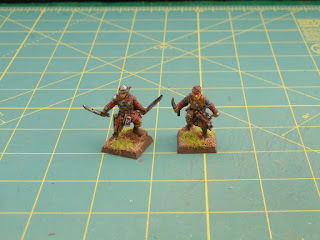 These are metal figures from Kingsford Miniatures. 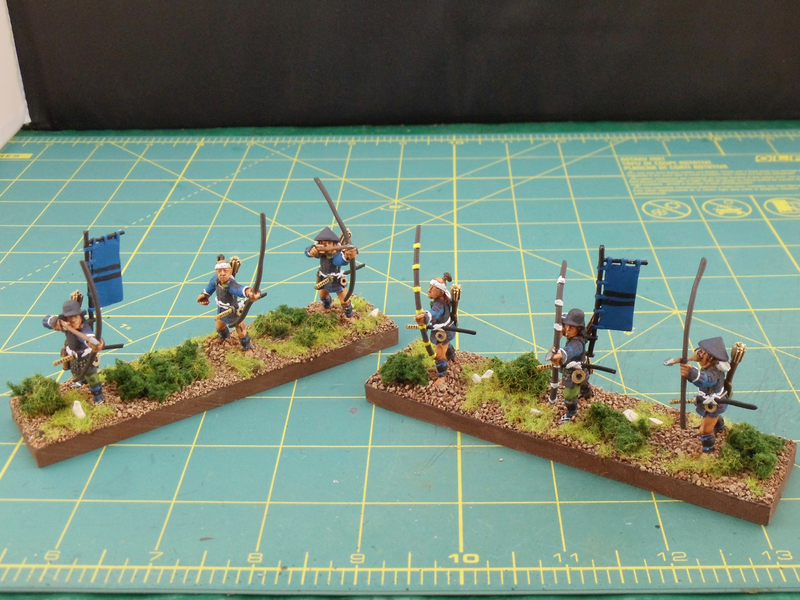 This is a pair of Ashigaru skirmish archer bases. I'm hoping to get a lot more of this project completed this year. My end goal is to have two samurai armies and an Ikko-Ikki army. I've got a couple more Ashigaru Teppo and a couple Samurai cavalry bases on my table then I'll probably switch to working on some Ikko-Ikki bases. 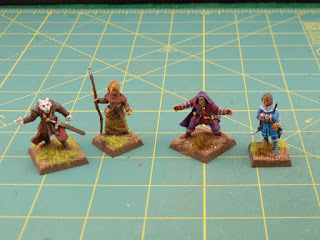 Next up is a collection of Frostgrave figures. Almost all of these are wizards and their apprentices. I'm sure I've got enough wizards to do at least a dozen warbands. I definitely don't need any more! 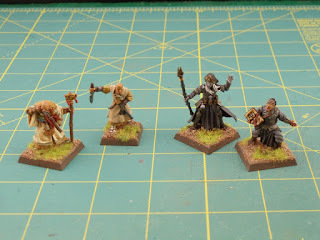 Figures are all metal and are "official" Frostgrave figures. 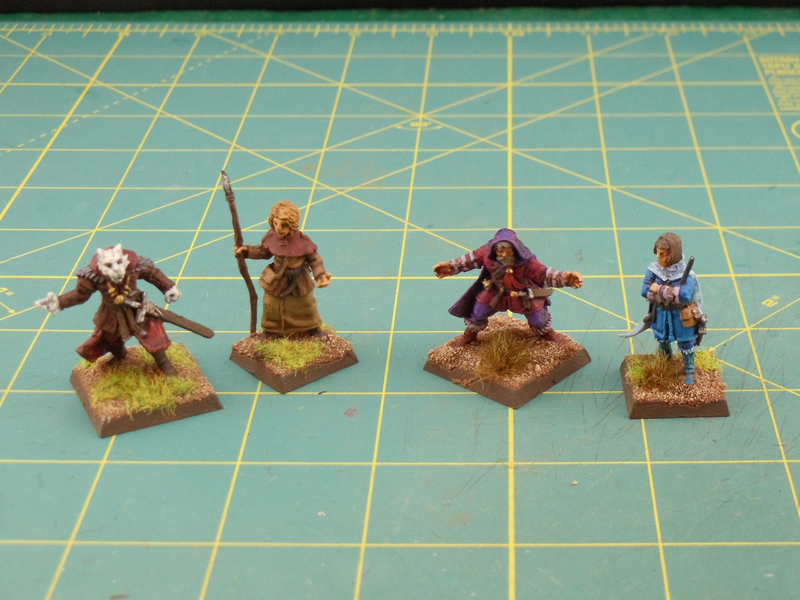 First set (l to r) is a Beastcrafter and apprentice followed by an Elementalist and apprentice. Second set (l to r) is a Soothsayer and apprentice followed by a Lich and apprentice. The last pair of figures is a tunnel fighter and a trap expert. Next on my paint table (as I stated above) is some Teppo and Samurai cavalry. It will probably be a number of weeks before I get these finished, although with the bloody weather being awful, there's not much incentive to go outside and do anything.